One of the promises Lennar made to me before they basically went silent, was that all areas affected by water intrusion and potential mold growth would be inspected and properly remediated. This is one of many issues that were to be decided during additional inspections. However, those inspections never occurred at 6111 Yeats Manor Dr at the Westshore Yacht Club neighborhood in Tampa, FL. 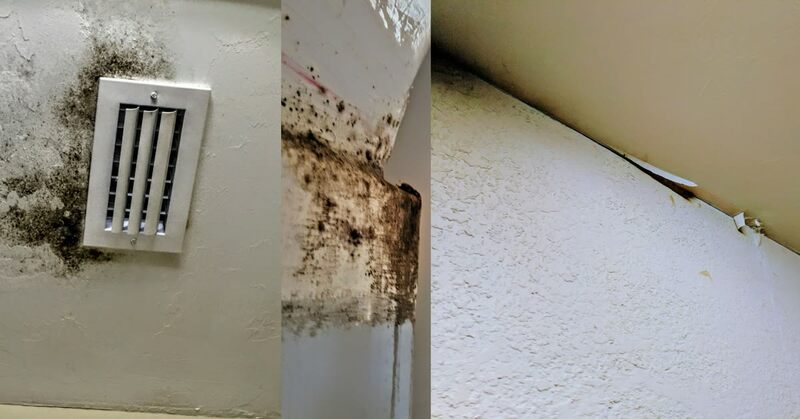 I have always been concerned about the water and mold, and now that Lennar finally admitted that the A/C systems should be replaced, I wanted the water and mold damaged fixed as well. 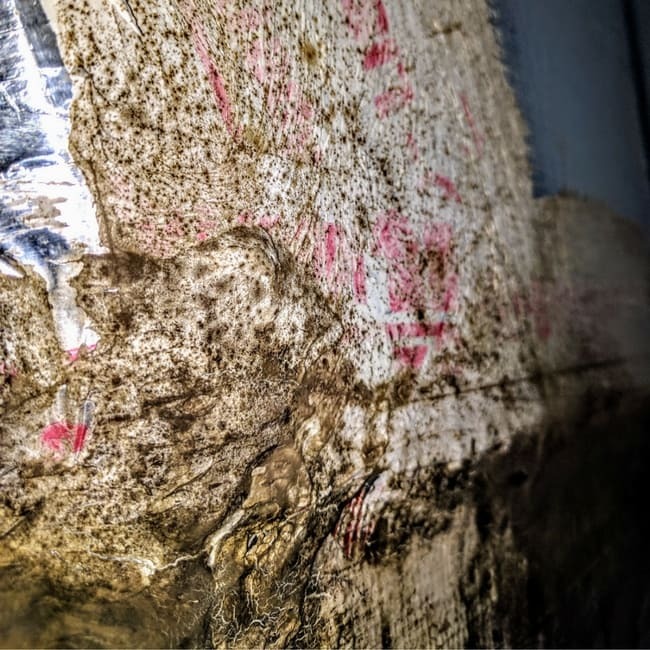 The mold alone could potentially explain the health issues I’ve experienced as well as the symptoms of others who spend time in the home also experience. These conversations primarily happened during the second conference call with Lennar executives Mark Metheny, Steve Smith and Rick Hudak. Steve – especially – was reassuring in telling me that Lennar would make sure that every area potentially impacted by water and mold would be inspected and repaired. The primary culprits in the water and mold damage are improperly installed A/C units as well as improperly installed roof flashing – both of them happened at the time of construction. 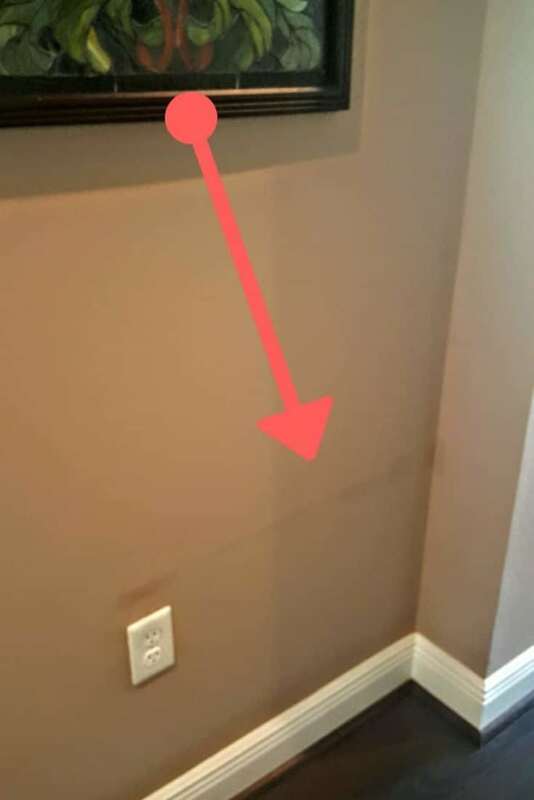 Here are all the areas in my Lennar home that they promised would be inspected and/or remediated for mold and water damage. Because of the multiple floods caused by the A/C unit in the attic, significant water damage has occurred as well as mold development. 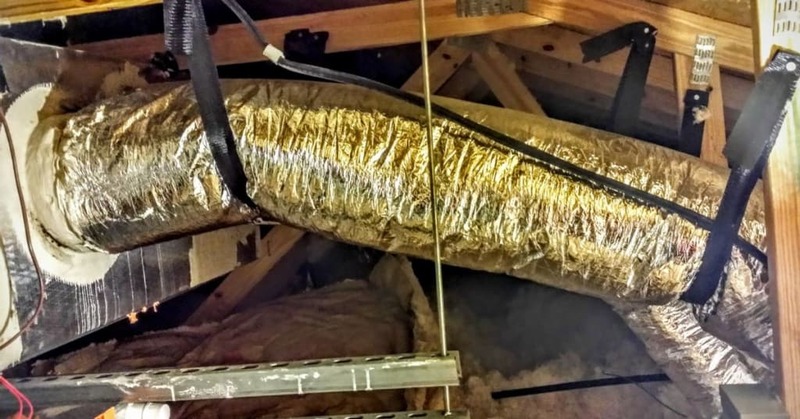 In a report from an A/C inspection Lennar conducted, it was found that the attic floor, as well as the insulation, had been continuously soaked. Additionally, the electrical components of the system had also been significantly exposed to moisture. All attic pipes, PVC, and metals would be inspected and remediated. The A/C unit and all components would be replaced and all impacted areas remediated for mold and water before a new system was installed. RELATED: Email to Lennar C-Suite: "I Would Like to Give This Team the Benefit of the Doubt"
Because of the numerous times that water damage occurred in the utility room, including the closet where the tankless gas water heater is installed, every part of that room was to be tested and remediated, including the ceiling (that is also the attic floor). You can see the insulation caught in the vents from an attic chase that was not built tall enough by Lennar (formerly WCI Communities). This is also water damage from either a roof leak or defective A/C unit that has caused water intrusion and mold exposure issues. All utility room walls and ceilings, including drywall. Utility room closet, including all walls and ceilings. Cabinets would be inspected for moisture damage and mold as well as remediation of any damage. Don’t buy from them. We had a Lennar home built in Texas and they left our drains open slightly, leading to about 8 years of toxic mold exposure. They did fix the bathroom but ignored our complaint about our persistent toxic mold illness that nearly killed us. Because of the A/C system floods, there has been water damage to the adjoining hall wall to the utility room. The wall, beams, any wall insulation, and drywall were to be inspected and remediated accordingly. Due to water damage and moisture that was observed in the ducts during the Lennar A/C inspection, all ducts would be inspected and either cleaned and/or replaced if needed. This was to be done during the A/C unit replacement. 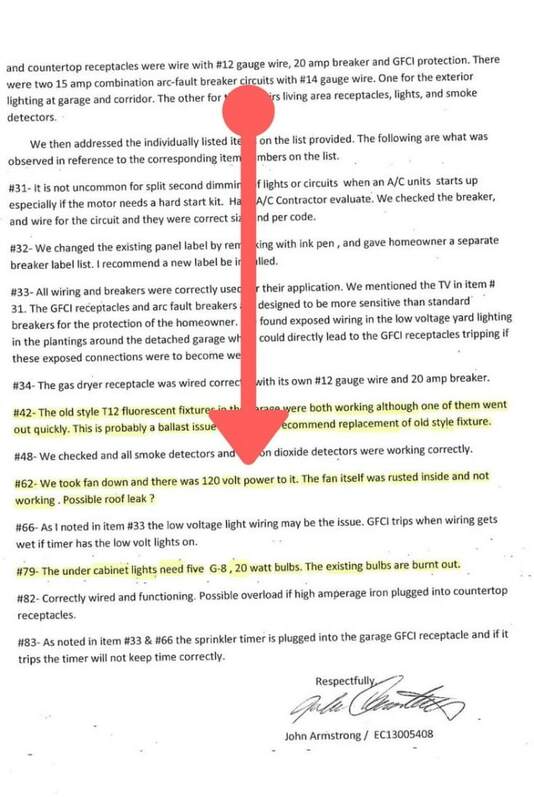 Because the electrical inspection indicated that the insides of my ceiling fans were rusting and corroding, the entire area was to be inspected for any water damage and mold and remediated accordingly. Also, because there was no water damage detected in the area during the inspection and because of the extensive metal corrosion throughout my Lennar home, executives wanted to bring in an environmental company to do an initial visual inspection. Those inspections never happened, as I stopped hearing from the Lennar executives proposing them. A Lennar home inspector noted that the inside of my fan was rusted. There are no visible signs of rusting or metal corrosion on the exterior of the fan. Lennar noted that there were no signs of water damage around the area of the fan or anywhere on the ceiling. 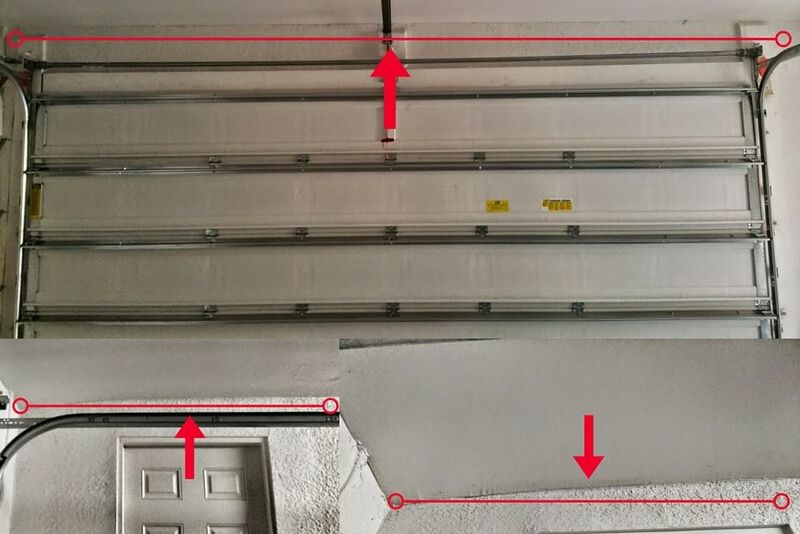 Extensive water damage has occurred in the garage, including making the garage ceiling slant/cave, as well as flooding that occurs on the floor when it rains. Lennar determined the cause to be improperly installed roof flashing during construction. Extensive water damage has occurred in the garage (my home office is upstairs). Lennar determined the cause to be improperly installed roof flashing. All walls and ceilings would be inspected and material replaced that was water damaged. The space in between the garage ceiling and the upstairs office floor. Any water damage that occurred to the floor or stucco would also be repaired. Both banner lights in the garage would be replaced as one of them is defective. It’s possible the water damage caused this. Because of the extensive visible mold and water damage in the upstairs (office) A/C handler, the system was to be replaced and the entire closet, including walls and ceilings, would be repaired or replaced because of mold exposure. The areas and drywall adjoining the A/C closet would also be inspected and repaired if necessary. This is one side and front of the A/C unit in the closet. Notice the black mold is so thick you can see the roots. 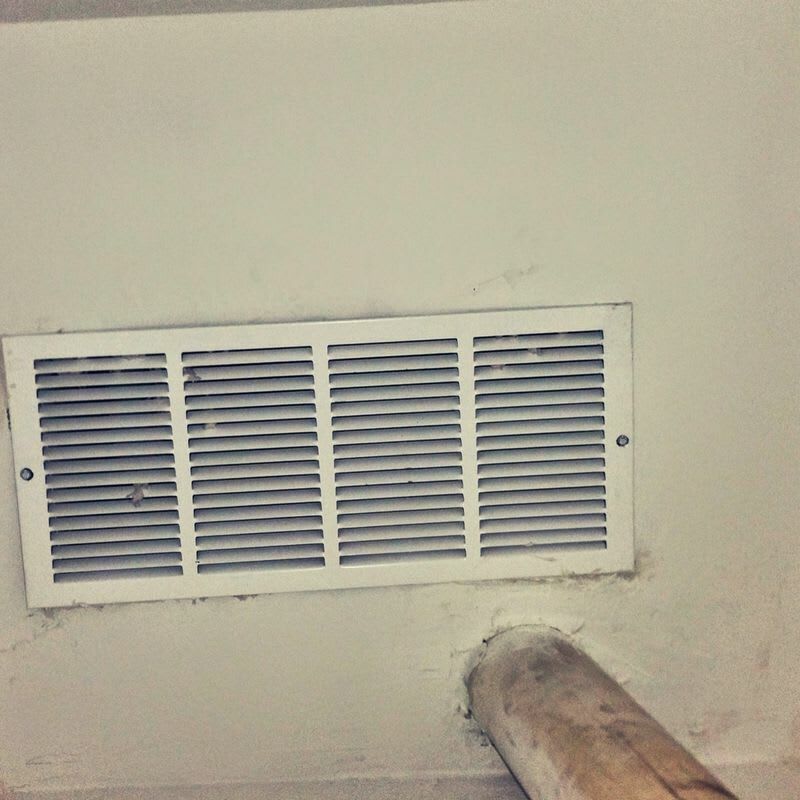 Because of the extensive mold and water damage, Lennar promised to inspect and clean/or repair all the ducts upstairs. Because the office is above the garage, all the walls, drywall, and floors of the upstairs office area would be inspected and repaired for any water damage or mold that has developed. Most walls of the office adjoining the ceiling of the garage that has extensive water damage from leaks. Note: As of the date of this publication, all the Lennar executives went silent and none of the estimated close to $300,000 in construction repairs were ever made, including the promised replacements of two, improperly installed and defective A/C units causing extensive mold exposure and health issues.